There's nothing like getting a massage gift certificate. 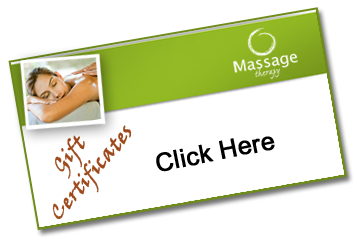 Please purchase a Joliet massage gift certificate for a friend, colleague or loved one. The gift of massage is a great idea for any occasion, and you can be sure the recipients of your gift will get a professional and blissful experience. An hour of massage customized to your specific needs! I will choose and incorporate techniques to decrease stress, anxiety, muscular tension, decrease muscle spasm and pain and to restore flexibility and range of motion..we will discuss your goals and create a treatment plan just for you! 90 minutes of massage customized to your specific needs! A full body massage transformed by the use of essential oils to uplift your mind, body and spirit. Each oil or blend of oils has a unique fragrance and therapeutic effect and can aid in many emotional and physical conditions. Aromatherapy is helpful for relaxation, pain reduction, headaches, muscle aches, inflammation, digestive complaints and women specific ailments. Aromatherapy can be added to any other treatment for just $5!! Hot and cold stones are used to massage you to relax your mind and body and to relieve pain and soreness. This massage elicits a deep relaxation beyond compare. Relaxation Hot Stone Massage is a full body massage using long nurturing strokes with the stones to completely relax you and lasts 90 minutes. The Chakra Balancing Massage is an exciting new treatment incorporating massage, reiki, essential oils and gemstones to give you renewed energy, balance and vitailty. The combination of these techniques restores balance to the whole body and mind, increases your energy and your ability to be present within your body.